Solar PV (Photo Voltaic) cells convert sun energy into electrical energy, thus using cleaner way to generate power. Grid Tied systems work in perfect sync with Grid power (and optional DG source) to support the load connected. 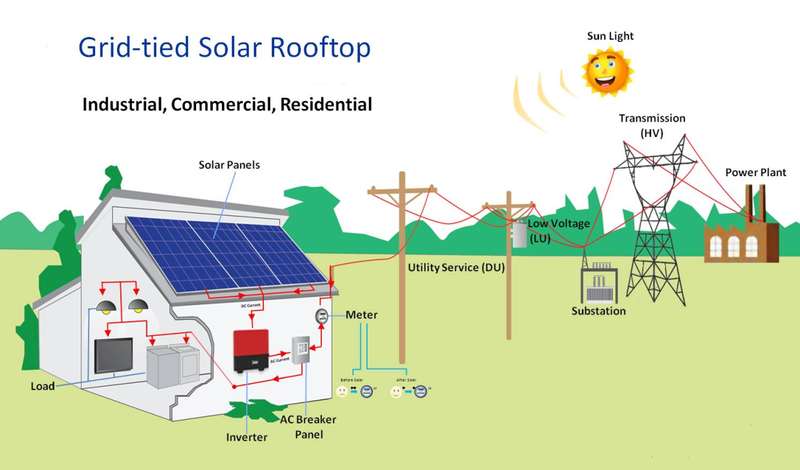 These systems do not have Battery back-up and consume entire solar energy generated on-line.